A person who is not a United States citizen but who is in the United States, is eligible for a grant of asylum if she or he qualifies as a refuge. Generally, a refugee is a person who demonstrates persecution or a well-founded fear of persecution on account of that person’s race, religion, nationality, membership in a particular social group, or political opinion. The persecution may be at the hands of the government of the person’s country, or at the hands of those whom the government cannot or will not control. The Immigration and Nationality Act (INA) provides three forms of protection for aliens who come to the United States, fleeing from persecution in their home countries: (1) Asylum (2) Withholding of Removal and (3) relief under the Convention Against Torture. An asylum applicant must establish that she was persecuted or that she actually fears persecution (subjective belief) on account of one of the five grounds, and that a reasonable person in the applicant’s position would also fear persecution (objective standard) on account of one of the five grounds. 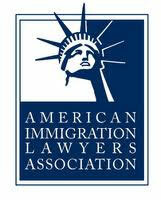 It is critical to determine up front where you are in the administrative process of seeking asylum. Has your asylum case been referred to the immigration judge or did the immigration judge just deny your application in court, or have you never before applied for asylum? A consultation with our legal team can help in answering these and other questions for you. The Attorney General may not remove an alien to a country if the Attorney General decides that the alien’s life or freedom would be threatened in that country because of the alien’s race, religion, nationality, membership in a particular social group, or political opinion. No state party shall expel, return, or extradite a person to another state where there are substantial grounds for believing that he or she would be in danger of being subjected to torture. The Secretary of Homeland Security may designate a foreign country for TPS due to conditions in the country that temporarily prevent the country’s nationals from returning safely, or in certain circumstances, where the country is unable to handle the return of its nationals adequately. Not all countries are eligible. Currently, there are only 13 countries on this protected list which consists of: El Salvador, Guinea, Haiti, Honduras, Liberia, Nepal, Nicaragua, Sierra Leone, Somalia, Sudan, South Sudan, Syria and Yemen. There are certain initial registry restrictions that must be complied with to be eligible. TPS is a temporary benefit that does not lead to lawful permanent resident status or give any other immigration status. If eligible, it does provide for employment authorization and social security card with eligible to obtain your state identification or driver license. You can also request permission to exit the United States if there was an emergency that you had to tend to outside the USA. Call the office today so we can help you explore your options. 2019 © Amezola Legal Group, APC. All rights Reserved.